Posted on March 6, 2013 at 5:53 pm. The best actors are those who deliver the most believable and authentic performances. The audience forgets that this is an actor playing the role and is completely convinced by the- character they see before them. This is what real acting is – and it’s much more than just ‘putting on an act’. How can you become a real actor? The first thing to consider is what acting lessons can give you. It all starts with the training you choose, because no-one today really makes it without classes. Most kinds of acting lessons will help you on the road to an acting career, but you do have options. Choosing your acting lessons carefully is a second step towards creating real acting. There is one kind of training that is dedicated to helping you do just that. Method acting is the end product of a hundred years of work on refining the actor’s craft. Finding ways to create genuine acting was the life’s work of Lee Strasberg at the Actors’ Studio in New York – and you can use the methods he developed in your own work at an acting school in London. Step three is to recognise the goal. Real acting is about real emotion. Method acting has been developed to achieve this ultimate goal. Strasberg’s methods centre on techniques and exercises that every actor can cultivate to create the highest quality acting. A Method acting training will teach you to overcome the obstacles to real acting, such as the tension and stage fright that can ruin your performance. Real acting is the opposite of superficial. Step four is learning how to create your characters from the inside out. Method actors learn how to create three-dimensional characters who can display authentic, persuasive emotion. In acting lessons you will learn memory exercises that will help you to bring your character to life and provide you with techniques to deliver memorable, believable performances on cue, every time. Most of all, Method acting is about not faking it. The methods of Method acting have been developed over more than seventy years to get past the problem of stagey, forced performances. The audience wants to see the character and feel his or her dilemmas and struggles. They don’t want to see actors pretending to be a character. The trouble is, the best actor in the world can’t become someone else. You’ll always be you. Your job is to find the resources within yourself, and in your own experience, to bridge that gap. Method acting lessons are not just about producing emotional performances. They will teach you how to use your own resources to produce the right kind of emotion for the role or scene. Real acting is about emotional truthfulness. There is one acting school in London that specialises in Method acting lessons. 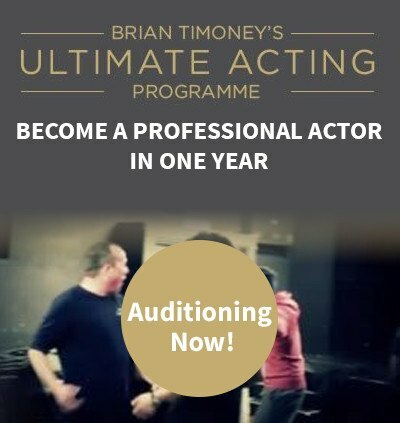 The goal of the training at Brian Timoney Actors’ Studio is to give actors practical skills to hone their craft and create the real acting that is at the heart of a successful career.